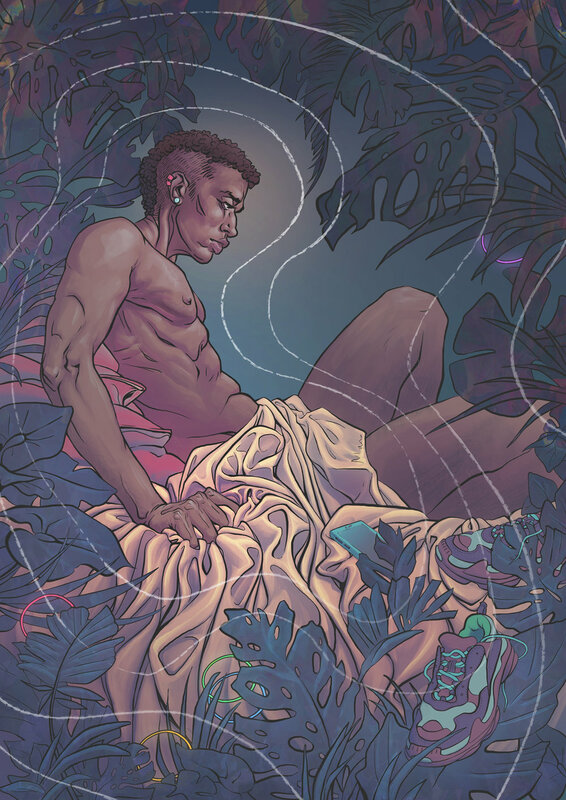 The May issue of Strange Horizons features both my illustration for the short story "Salt Lines" and an interview between me and art director Tory Hoke! I had a great time with inktober this year and wanted to share some of my personal highlights! On the plane home from Philadelphia there was quite a bit of turbulence, so I started to do dots instead of lines. Just the simplest thing and I did it without a thought at first but it unlocked something in my thinking. So as I explored imagery inspired by my two latest obsessions (the book Borne by Jeff Vandermeer and catacomb saints) I found my hand moving more instinctively and with much greater ease than before. As mentioned, Im a bit obsessed with catacomb saints at the moment. They are just so wildly fascinating to me, both the stories and the imagery. So I started to do inkwashes on yupo paper to try and capture the feel of them. It was just an experiment but turned out so well I’ve become a bit addicted, rest assured the end of inktober does not mean the end of Boniface! The best place to follow along with my work is instagram but you’ll also find me regularly on twitter and tumblr.